What should you do when your Travertine starts to fade? When a whiting issue occurs, there is only one solution for full paver restoration: The failing paver sealer must be stripped from the surface. This can be done without any damage to the stone, however, it requires full vacuum recovery, hot water pressure washing, and a very expensive stripping agent. Because of this, the cost to strip pavers is often triple the cost to seal. We cannot emphasize enough the importance of a high-end product like Seal ’n Lock being installed by a professional technician. Seal ’n Lock is one of the few sealers that bonds and performs well on travertine. Since travertine is much less porous than pavers, the options are more limited. Solvent based acrylic sealers, and many others, do not form a strong enough mechanical bond due to the smoother profile of the travertine stone. This often times results in premature failure of the coating, commonly referred to as a “whiting issue”. A whiting issue is what happens when the bond between the sealer and the stone, in this case travertine, starts to fail. The most common reasons these products fail are because of improper surface preparation, trapped moisture/water vapor, sealer being applied to thick, and most common of all, poor quality sealers made with cheap resins. Seal ’n Lock is a water-based modified urethane sealer. Since it does not contain any oil-based solvents it is completely environmentally friendly and VOC compliant in all 50 states. 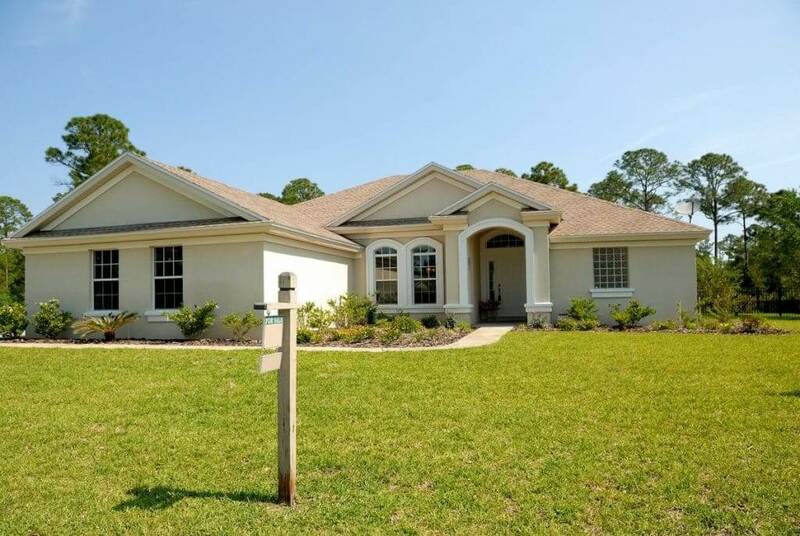 Unlike almost every other sealer, it is breathable and allows water vapor to escape. In fact, Seal n Lock was the first “all-in-one-day” sealer when it made it’s debut in 2004. Since then it has rapidly grown in popularity to become recognized by professional contractors all around the country as one of the best sealers currently on the market. Seal ’n Lock is a “wet-look”sealer and not a “high gloss” sealer. What does this mean? It’s the difference between color enhancement and shine (which is essentially light refraction). With Seal n’ Lock Super Wet we are able to achieve excellent color enhancement and a light shine. We have found the majority of our customers prefer this wet-look color enhancement over shine since it brings out the beauty of the stone and high gloss products can actually have a distracting effect on naturally beautiful travertine. According to the ICPA (Interlocking Concrete Paver Association) a proper joint sand level is 1/8th of an inch below the chamfer edge (beveled edge) of the paver. This is our target joint sand level, but since sanding joints requires hand eye coordination, there will be some variance in the exact sand level. In some places the sand will be closer to 1/4” below, in some places it may be close to flush, please remember that this is all acceptable and will not have any detrimental effect on the travertine installation or the performance of the sealer. Seal n’ Lock eliminates the need for polymeric sand. Through the first application of the sealer, which is called the “flood coat”, the freshly sanded joints are flooded with Seal n’ Lock which contains hardening agents. This creates a bond between the particles of sand and locks the joint in. This helps inhibit weed growth, algae growth, and ant mines. Please do not confuse “inhibits” with “prevents”. There is no product on the market that can single-handedly prevent these things completely. Seal n’ Lock is one very important part of a solution to these problems, but there are also many variables involved and in most cases other forms of preventative maintenance should also be utilized such as, treating your lawn for weeds and bugs and an annual maintenance cleaning and mildicide treatment on your travertine, which we offer. This is one of the main reasons people choose to seal their travertine. Any unsealed stone surface will rapidly grow algae, mold, and mildew. This is not only and unsightly blemish, but it also can parasitically eat away at the stone itself if left untreated. These organic growths have root systems that feed off the minerals found in the materials and pigments in the stone. Sealing your travertine with Seal ’n Lock will inhibit the growth of algae, mold, and mildew. Keep in mind that while Seal n’ Lock makes it much more difficult for algae to grow it does not make it impossible. This is why we strongly encourage bringing us back to do an annual maintenance clean and mildicide treatment. Sometimes this can be necessary more than once per year depending on the drainage situation, exposure to sunlight, proximity to trees, etc. Because of these variables, the growth of algae, mold, and mildew is not a warranty item. Travertine will fade drastically from the suns UV rays when left unsealed. Although it’s usually never too late to seal, the best time to seal is 30 days after the travertine has been installed. Sealing your travertine with Seal ’n Lock will preserve the color of the stone and prevent, yes that’s right, prevent fading. But just because the stone will not fade does not mean the sealer will not fade. Seal n’ Lock does not fade quickly but, just like anything, it does fade over time. To put this in perspective, what we can say is that we have visited jobs that we have sealed 3-4 years ago to re-seal them and the travertine still has a significant “wet-look” and is much more enhanced than it was before it was sealed, but needless to say, it has faded some compared when it was first sealed. There is no way to predict the exact rate at which the sealer’s enhancement will lighten since it depends on variables such as rain, sun, traffic, and maintenance. Travertine, in and of itself, is a slippery surface when wet. When you add a sealer to that it WILL make it even more slippery when wet. When the sealed travertine is dry, however, it will not be slippery. We strongly recommend that if your travertine is installed on a pool deck or any other outdoor area that will be in use when wet, that our Shark Grip additive be used with the sealer. Shark Grip is an anti-slip traction additive that is mixed in with the sealer. It is completely clear so it does not take away from the color of the stone. It WILL however change the finish to a textured finish instead of a glass-like finish. Please remember that even with Shark Grip, sealed travertine can still be slippery when wet. Without Shark Grip, however, sealed travertine is treacherously slippery when wet. Although we recommend it, each customer should decide if Shark Grip is the right choice for them. A common misconception is that the sand joints have anything to do with this issue. While the sand joints are important, they have little to no effect on travertine movement. Failure in the compacted base underneath is the most common reason why settling occurs. This could happen either because of installer error or natural causes such as settling of the earth underneath the base, decomposing tree stump/roots, a broken pipe causing washout, etc. The most common area we see movement on travertine installations is around the edges of the installation. This is usually because the install company did not do a good enough footer to hold in the edges of the installation and so the stone starts “floating” away. The most important thing that could be warrantied on any paver or travertine sealing job is the bond of the sealer to the stone/brick. If this bond fails then a whiting issue will occur as the sealer delaminates. This is where our “Whiting Issue Warranty” comes in. Every sealing job we complete comes with out Whiting Issue Warranty. We so confident in the Seal n’ Lock product AND our ability to install it correctly that we guarantee that the sealer will never turn white or delaminate. In addition to offering this warranty, we are one of the few companies in the Tampa area that even possesses the vacuum recovery equipment needed to strip a failing sealer and fix a whiting issue. So not only do we offer this warranty but we actually have the ability to carry it out. That being said, since we started using Seal n’ Lock in 2012 we have never had even one whiting issue with the Seal n’ Lock, and our customers have never had to use the warranty. When you choose Peter’s Pressure Washing you can have the confidence that you will never find yourself in a sealer whiting issue predicament, but if you do, you will incur no cost to have it resolved. Please note that we can only offer this warranty when the travertine has not been sealed before. If the stone has been sealed but shows no signs of whiting/failure and the customer opts to seal over the original coating which was not done my us, then we cannot offer the Whiting Issue Warranty because we do not know if the previous company prepped and installed the original sealer correctly, even if it was Seal n’ Lock. However if we strip off the original sealer before resealing then the customer would receive the Whiting Issue Warranty. We also have a “Rain Warranty.” This is the second most important warranty we could offer you. This warranty ensures you that if the sealer gets rained on before it has achieved water repellency, then we will re-seal the job at no cost to you. Usually the sealer is ready for rain within 1-2 hours, and unlike most other sealers it has never turned white on us because it got rained on, it simply dilutes the sealer off since it is a water based sealer. Our warranty does not cover algae, mold, and mildew growth. It does not cover weed growth in the joints. It does not cover washout of sand from the sand joints. It does not cover the rate at which the enhancement of the sealer fades. It does not cover movement of the pavers from sinking, settling, tree roots, broken/insufficient footer, etc. Efflorescence is what happens when moisture breaths out of the paver/stone and with it carries minerals, primarily calcium and salt, to the surface. The water evaporates but the minerals are left behind as a residue on the surface. This residue is usually powdery but can become calcified and extremely difficult to remove. In some cases efflorescence cannot be completely removed without damaging the paver. We recommend waiting 30 days after the pavers go into the ground before sealing them. It is also important that during this time the pavers are being hydrated at least every couple days. So if it isn’t raining, or if you have an area that doesn’t get wet such as a covered lanai or front entry, then you must soak the pavers with a water hose every couple days because, remember, the dormant minerals inside the brick cannot come to the surface unless the water vapor breathes them out. Efflorescence cannot be warrantied because it depends on factors outside of our control. Even paver manufactures do not warranty efflorescence, and they refer to it as a “naturally occurring process.” If efflorescence appears after the pavers have been sealed we can come back to treat it but there will be a charge associated with the cleaning. We also cannot guarantee the results of the cleaning, sometimes the results are less than satisfactory due to the calcified nature of the efflorescence. It’s also possible that even after an efflorescence cleaning and treatment that the efflorescence may return and need to be treated again, in which case there would be a charge for the cleaning. We cannot predict at what point the minerals inside the stone are completely exhausted therefore we cannot guarantee that the efflorescence will not return. Generally you will need to stay off of the travertine completely for the rest of the day. But depending on temperature, wind, and sun exposure the sealer can take longer to cure. 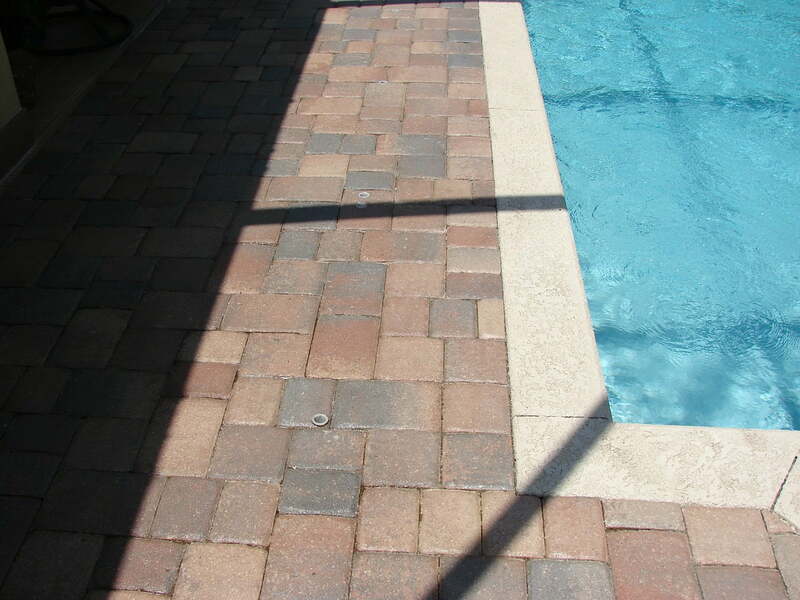 Areas that are shaded such as a covered lanai or front entry can be expected to require a longer drying time. The best rule of thumb is that if the sealer is still sticky/tacky then it is not ready to be walked on yet. For vehicular traffic a period of no driving should be observed for a minimum of 48 hrs. Peter’s Pressure Washing is not liable for any damage to the sealer caused by walking or driving. In order to maintain warranty on the sealer installation and keep your travertine looking great, we recommend an annual maintenance clean. This is a professional pressure cleaning and mildicide treatment. This cleaning will remove any algae, mold, and mildew that has started to form and the mildicide application will kill any spores/root system of any organic growth. If your travertine installation is surrounded by grass or landscaping, we recommend keeping these areas regularly treated to help eliminate weeds, ants, and other pests. Usually if these problems are not maintained in the yard then they will transfer over the the travertine installation where they are more difficult to resolve. If a spill or stain occurs on your sealed travertine it’s best to clean it up as quickly as possible. The fact that the stone is sealed will prevent most substances from causing a permanent stain, however we cannot guarantee complete stain resistance. We recommend resealing your travertine every 3-5 years. The amount of exposure to sun, rain, traffic, and other such factors will determine the exact lifespan of the sealer. The use of any other sealer other than Seal ’n Lock will void all warranties and is strongly discouraged. Other products may not be compatible with Seal ’n Lock and could end up needing to be stripped. Seal ’n Lock will not need to be stripped before being resealed, we simply clean, re-sand the joints, and then reapply Seal n’ Lock.